Faced with new SUV opposition from Audi (Q5), Mercedes (GLK) and Volvo (XC60), BMW is pushing ahead with development of its second-generation X3. 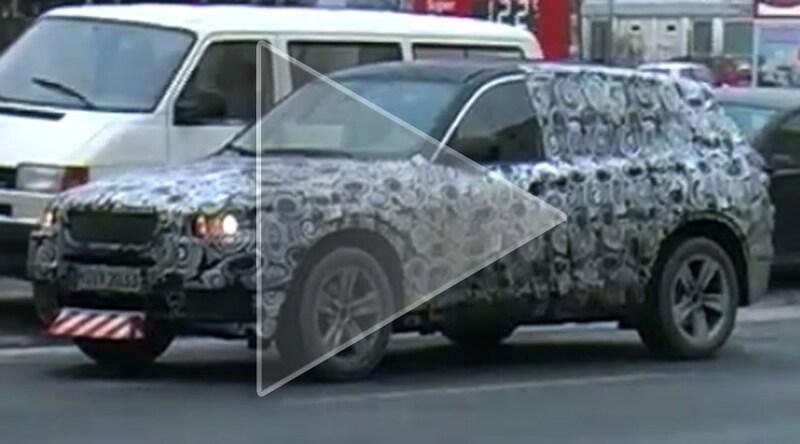 This video captures the new car – codenamed F40 – testing in Germany. What should I know about the new BMW X3? Production starts in 2010, at BMW’s Spartanburg plant in the USA, which makes space at Magna-Steyr’s Austrian plant for the X1 and Mini SUV. BMW is hoping the X3 will notch up 160,000 sales each year, up from the current car’s 100k. Size-wise the X3 should measure 4650mm long, 1850mm wide and 1680mm wide, with a longer rear overhang designed to allow an adjustable second row of seats. The cabin becomes more driver-orientated, and the X3 finally gets BMW’s iDrive system. Yes, Efficient Dynamics will be an integral part of the X3. The current stop-start system and active aero will be available, but we also expect an eight-speed automatic, clean diesel technology and a full parallel hybrid option. But the X3 won’t just be green; BMW wants the X3 to be a real driver’s car, so active steering, active roll compensation and the latest XDrive system will be on offer. The engine line-up is expected to look like this: X3 2.0d, 177bhp; X3 2.0sd, 204bhp; X3 3.0d, 245bhp; X3 3.0sd, 300bhp; X3 2.5i, 231bhp; X3 3.0si, 305bhp.